Consider all possible possibilities and their participation in the Oneness of All That Is. Everything created has Consciousness—a Consciousness in which you participate and are one with. In your sacred writings it speaks of a garden in which Paradise resides. It is a belief that in the beginning all things were perfect, that humanity’s first form in nature was perfection. 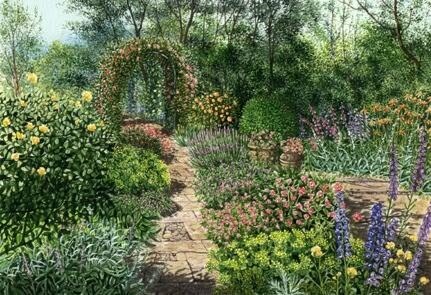 We wish to tell you the garden still exists, find the garden in your lives, find the garden in your world and all will be well indeed. And why did God create the garden? That the Creator might walk with itself in the cool of the evening and that creator is you. That perfection has never left you.